Dr. David Hardy is a member of the DC CFAR Executive Committee as a representative of Whitman Walker Health. Dr. Hardy knew he wanted to be a doctor from an early age but it was a lecture during his residency in internal medicine at UCLA which led him to a career in HIV research. After attending a lecture by Dr. Michael Gottlieb - the UCLA researcher credited with first identifying AIDS - Dr. Hardy asked to do a rotation in Gottlieb's immunology lab. Under Dr. Gottlieb, Dr. Hardy studied infectious disease and immunology including research that led to the first HIV antibody tests, T cell studies, and the first clinical AZT for trials. From there, Dr. Hardy's career included serving as a principal investigator as part of the AIDS Clinical Trials Group (ACTG), conducting research on the diagnosis and treatment and prevention of opportunistic infections, development of antiretroviral therapy a fellowship in a basic sciences laboratory and leadership as Chief of the Division of Infectious Diseases at Cedars-Sinai Medical Center. While at Cedars-Sinai, Dr. Hardy ran a research lab that was focused on retroviral vectors that could be useful in the development of an HIV vaccine and gene therapy. 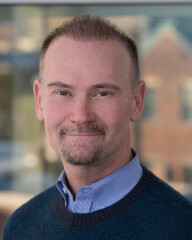 Dr. Hardy is now the Senior Director of Evidence-Based Research at Whitman-Walker Health (WWH) and the Institutional Representative of WWH on the DC CFAR Executive Committee. He says that one of the draws of coming to DC was participation in the city-wide CFAR. Dr. Hardy believes it is an especially exciting time for the DC HIV research community with the new Martin Delaney HIV Cure BELIEVE Collaboratory and the increased collaboration between academic, community, and government institutions. His goal as a leader in the DC CFAR is to spark in others the same interest and passion for HIV/AIDS research that he felt working in the early days of the AIDS epidemic at UCLA. Back then, HIV was a new and mysterious disease; now, Dr. Hardy wants to 'pay it forward' by inspiring others to carry on the mission of ending the epidemic of HIV at home and abroad.